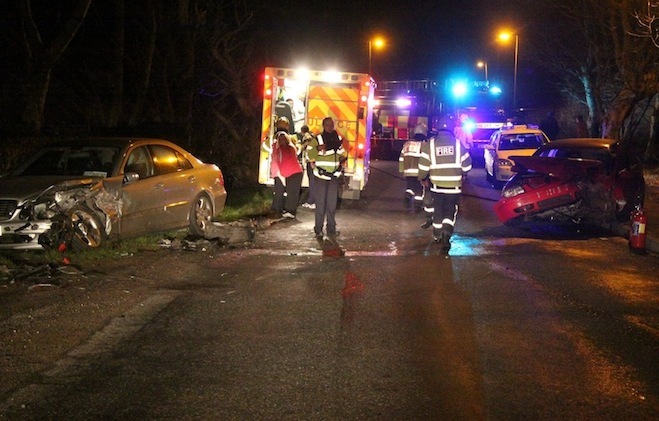 BREAKING NEWS: This is the horrific scene after a two car collision in West Donegal this evening. It appears that two cars, believed to be a silver Mercedes and a red Volkswagen Bora, collided head-on at Middle Dore, Bunbeg. 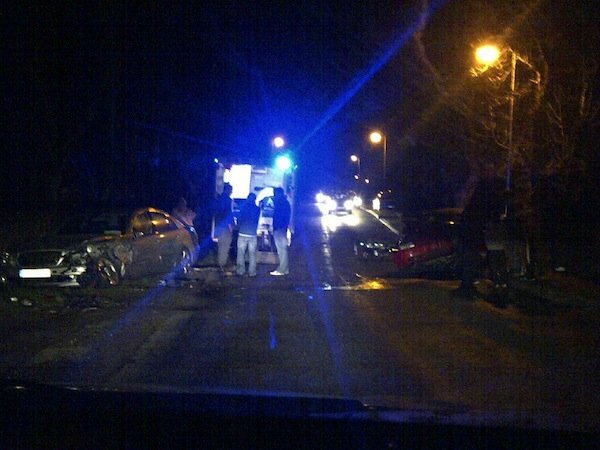 An ambulance rushed to the scene and was there just minutes after the smash which happened just after 9pm. An eye witness told Donegaldaily.com that three people have been removed into the ambulance. One of those was put on a stretcher and the other two walked into the ambulance but were covered in cuts and bruises. At this stage it is unclear as to the full extent of their injuries. Just a short time ago two Garda cars, another ambualnce and a fire brigade arrived at the scene. There is a lot of debris on the road and fuel has spilled from both vehicles. “It’s a real mess down there. I don’t know how bad the people in the cars are. “There’s a lot of debris and the cars are I a right state,” he said.